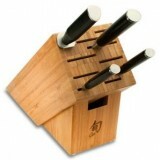 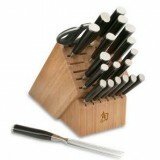 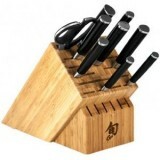 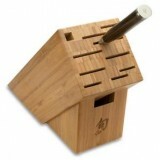 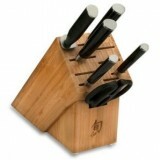 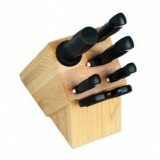 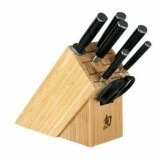 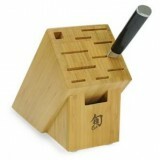 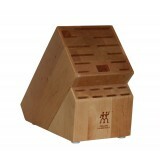 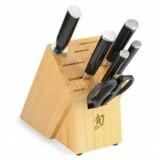 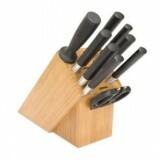 Consists of: • 3" Paring Knife • 5" Serrated Utility Knife ..
10-PIECE WASABI BLACK BLOCK SET Bring harmony and beauty to your kitchen with the Wasabi Black 10..
7-PIECE WASABI BLACK BLOCK SET Get six key pieces of kitchen cutlery and an attractive wood block..
CLASSIC 10-PIECE CHEF'S BLOCK SET THE PERFECT BLOCK SET FOR THE AVID COOK You know y.. 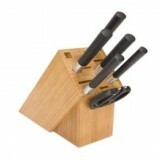 BUILD YOUR OWN PERFECT SET OF SHUNS The Shun Classic 2-Piece Build-a-Block Set is the perfect ins..
CLASSIC 21-PIECE MEGA BLOCK SET QUITE SIMPLY, THE ULTIMATE SHUN CLASSIC BLOCK SET This gorgeou..
JUST THE BASICS NEEDED TO EQUIP YOUR KITCHEN The Shun Classic 5-Piece Starter Block set includes .. 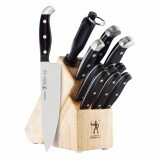 THE ESSENTIAL CUTLERY EVERY KITCHEN NEEDS The Shun Classic 7-Piece Essential Block Set gives you ..
CLASSIC 8-PIECE EPICUREAN BLOCK SET YOU'LL BE READY FOR JUST ABOUT ANY RECIPE WITH THIS BEAUTIFUL..
CLASSIC REVERSE-GRIP 7-PIECE ESSENTIAL BLOCK SET ESSENTIAL CUTLERY FOR THOSE WHO PREFER A REVERSE..
KERSHAW 9900 7-PIECE BLOCK SET Stock your kitchen with the cutlery in this practical and attracti..
PREMIER 2-PIECE BUILD-A-BLOCK SET FOR THE DO-IT-YOUSELF CHEF The Shun Premier 2-Piece Build-a-..